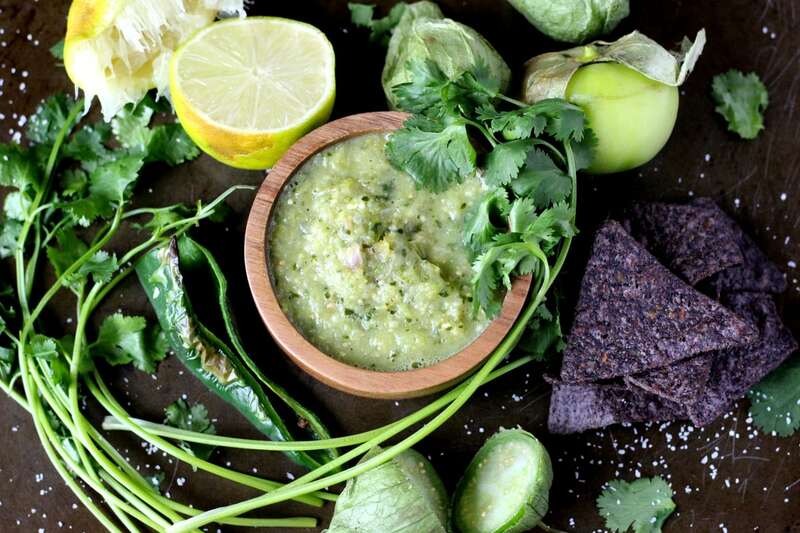 Roasted Salsa Verde is a fresh appetizer that will wow a crowd – healthy and delicious and smells amazing! The smell of cilantro, lime and jalapeno peppers has permeated my house and I love it. I don’t remember the last time I made Salsa Verde, but I remembered the ingredients (vaguely). So, I ventured out to the grocery store pieced together my new favorite recipe. And it must be some other people’s favorite in this household, because I left out a bowl of it ….. and it disappeared.